Rare bacteria claims south Jersey man’s left leg below the knee. MARLTON, NJ, February 14, 2018 /24-7PressRelease/ — A South Jersey man’s life was changed forever when a rare bacteria claimed his left leg below the knee. Christopher Botta’s story begins 3 years ago when he became sick with an infection and high fever. According to Botta, he “felt like death,” but managed to drive himself to the hospital. Accord to doctors, had he gotten there any later he could have died. Bacteria got into his foot through a crack in his skin, nearly killing him. Over the course of 66 days spent in the hospital, Botta underwent several operations to excise the infected area. The wound ended up healing nicely until the unexpected happened; a tendon broke through the wound site. Botta went back to the hospital and the decision was made to amputate his left leg from below the knee. Botta was contacted by Prosthetic Orthotic Solutions International (POSI) following his amputation. POSI picked him up from his home in South Jersey and took Botta in for his appointment at POSI’s Marlton location. Botta was fitted with a prosthetic below the knee by the staff at POSI. During his very first prosthetic leg diagnostic fitting he took his first steps with his brand new below the knee prosthetic. According to Botta, POSI’s organization and his personal mental preparedness allowed him to overcome the hurdle of mobility after his amputation. 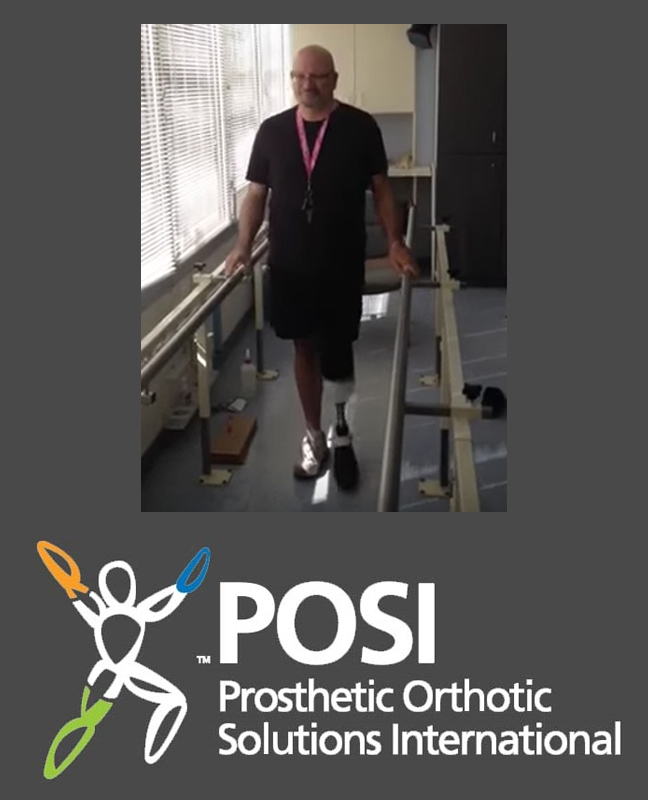 Prosthetic Orthotic Solutions International (POSI) was founded in June 2000, by Kevin Towers, CPO LP and Jim Alaimo, CPO with a philosophy of patient-oriented care. Their approach focused on spending the necessary time with each patient leading to better results and outcomes. They assembled a team of American Board for Certification in Orthotics and Prosthetics (ABC) dedicated to serving patient needs.